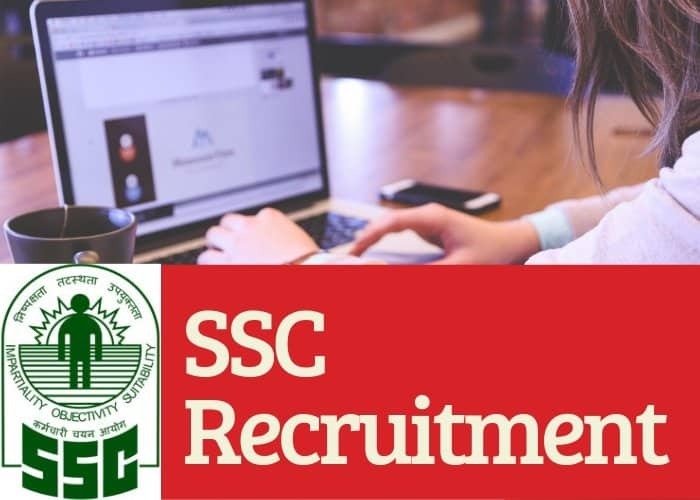 SSC Recruitment 2019: SSC conducts number of examination for the recruitment of suitable candidates for filling number of posts in various departments and ministries. The main SSC recruitment 2019 examinations that are conducted by SSC time to time include Combined Graduate Level (CGL), Combined Higher Secondary Level (CHSL), Stenographer (STENO ‘C’&’D’), Junior Engineer (JE), CAPF, Multitasking Staff MTS (NT), and JHT. SSC release vacancies for various SSC recruitment throughout the year and as a part of selection process, it has to conduct examinations. SSC has released the tentative annual calendar of all the examinations that are going to be conducted during the period from 1st January 2019 to 31st March 2020. Scroll table to left to read more in mobile. Here we have shared the Examination scheme/pattern of all the aforementioned SSC exams. In case of any changes in the examination scheme shared above, we will update the same here. Staff Selection Commission (SSC) is an autonomous organization that functions under the administration of Government of India. SSC basically functions to recruit suitable staff for various posts in departments and ministries of Central Government. SSC conducts various recruitment exams, and organise interview and other selection rounds for different government departments. It would be not wrong to say that it is a recruiting agency that select suitable staff for various department of Government of India. The Headquarter of SSC is situated in New Delhi and it has regional office at Delhi, Allahabad, Mumbai, Guwahati, Kolkata, Bangalore, Chennai, and two Sub-Regional Offices at Chandigarh and Raipur. SSC recruit staff for Group B, Group C technical/non-technical post in various departments and Ministries of Govt. Along with this, it recruits Lower Divisional Clerks, Stenographer Grade C and D, Inspector, sub-inspector in CBI, Divisional Accountants, Auditors and Accountants in CAG, JEs, Tax Assistants, Section Officers etc. for various departments. The selection of candidates in SSC is majorly done on the basis of selection tests. The selection exam is mainly a Computer Based Examination (CBE) which is followed by another CBE for some posts or by a Descriptive Paper. For some posts like stenographer Grade C & D after qualifying CBE candidates have to appear in the skill test. The general selection procedure in SSC consist of one or two CBE, a descriptive test or a skill test and document verification process. The final selection is made on the basis of performance of the candidates in all the rounds/ tiers. SSC releases the recruitment notification on its official portal and also on the employment news and on the national & local newspapers. Application forms are made available through online mode. Interested candidates have to fill the application form at SSC website. No other mode of application is accepted. Applicants have to register within the specified dates. They have to fill all the necessary details in the application form, upload photograph & signature, and other details carefully in the form. At the time of application, candidates are provided a User Id/registration ID and a password which they are required to keep save till the recruitment process get completes. On the basis of online application, admit cards are issued to the candidates for examination. For any issue regarding SSC 2019 recruitment, you can share your queries in the comment box provided below. You can also contact the SSC officials or can leave a comment below. Our team will help you in solving it.